Canada’s privacy watchdog is investigating leaks of confidential information about a candidate for the Supreme Court of Canada. Conservative and NDP MPs had asked for the probe. “Under the Privacy Act, our office is required to investigate all complaints that fall within our jurisdiction,” said Tobi Cohen, a spokesperson for the privacy commissioner’s office. “It is not only an attack on the independence of the judiciary and a mark of flagrant disrespect for the importance of its work, but potentially a breach of the Privacy Act,” Angus wrote. The request came after Mar. 25 reports by CTV and The Canadian Press revealed that Prime Minister Justin Trudeau and Jody Wilson-Raybould were at odds in 2017 over whether Joyal should be appointed to the Supreme Court. The CP story said sources spoke on condition of anonymity because they were not authorized to discuss internal discussions about a Supreme Court appointment, which typically are considered highly confidential. 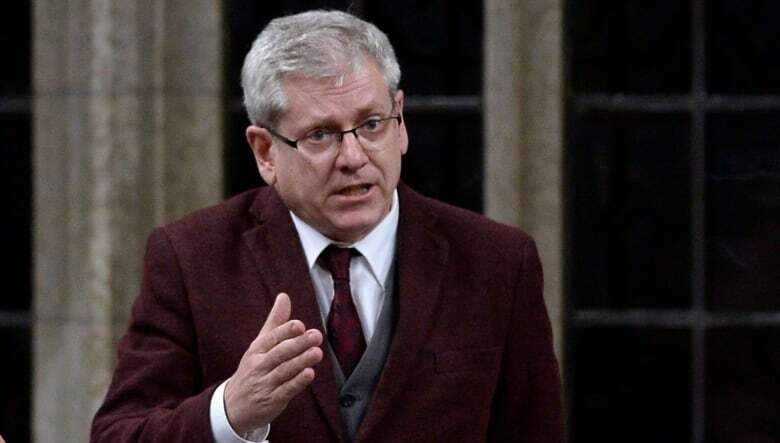 The reports came out amid a growing controversy over the SNC-Lavalin affair, and suggested the Joyal appointment was a second point of conflict between Trudeau and Wilson-Raybould, who was justice minister and attorney general at the time. The story said Joyal’s views on the Charter of Rights issues led to “significant disagreement” between the two. Trudeau’s office and Wilson-Raybould denied being the source of the leaks. In a statement, Joyal said he withdrew his application due to his wife’s illness and decried the leak of confidential information about his candidacy. “I fear that someone is using my previous candidacy to the Supreme Court of Canada to further an agenda unrelated to the appointment process. This is wrong,” he said in a statement. Sheilah Martin ultimately was appointed to the top court, and Richard Wagner was named Chief Justice. Cohen confirmed an investigation will include organizations covered by the Privacy Act, including the Privy Council Office and the Department of Justice. The Privacy Act does not give the commissioner jurisdiction over ministerial offices, though Cohen said the commissioner has recommended in past that the Act be extended to all government institutions, including ministers’ offices and the PMO. Conservative MP Peter Kent also asked Therrien to investigate. “Confidentiality in the process of judicial appointments is crucial to protecting the integrity of the selection process. This confidentiality also seeks to ensure that the reputations of judges not ultimately selected are not tarnished,” he said in a letter to the commissioner. Angus said that if a government institution was behind the breach of Joyal’s personal information, it could be a violation of the Privacy Act. Angus noted that judicial applications go to the Office of the Commissioner for Federal Judicial Affairs. The commissioner’s privacy notice to applicants says personal information collected is used by the advisory board to assess applications and provide a list of qualified candidates to the prime minister. Angus asked Therrien to determine if the leak came from Privy Council Office, the Office of the Commissioner of Federal Judicial Affairs, the Department of Justice or the Office of the Prime Minister of Canada.